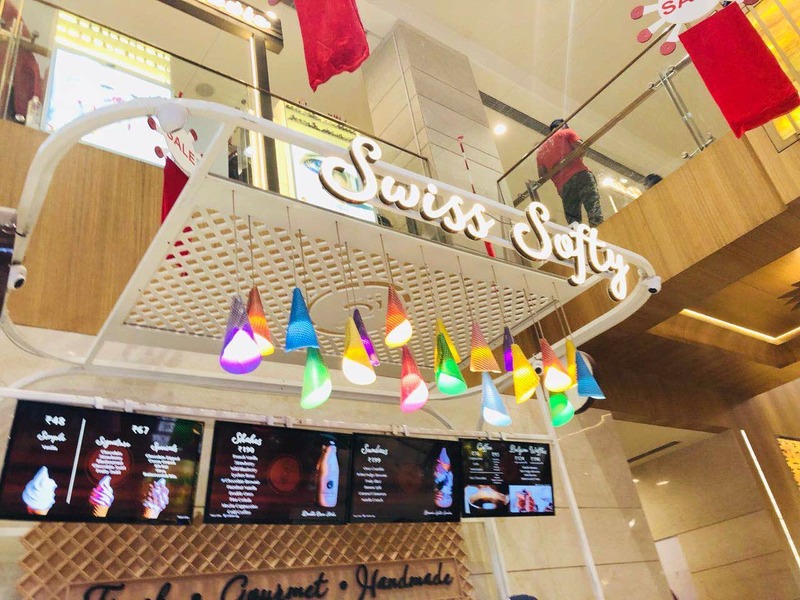 Swiss Softy in Unity One Mall, Rohini, is a place that serves delicious softies, sundae, waffles and shakes. I ordered the Chocolate Hot Brownie Sundae and it's a must-have for every chocolate lover. It costs ₹210 and can be really heavy for one person. They serve the sundaes in cute jars and offer multiple varieties too. I can't wait to try their Fruit Punch Sundae the next time I drop by. The ambience of the place is also really nice.